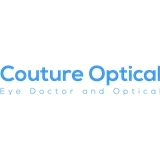 Couture Optical (Brooklyn) - Book Appointment Online! Couture Optical’s mission is to provide exceptional eye care service in Brooklyn, NY. Our Eye Doctor is very attentive to our patients and their needs. Our medical facility implements state of the art practices and equipment. Our staff is knowledgeable and has years of experience in providing our patients with the information, guidance, and support they need in choosing the appropriate frames and lenses to suit your lifestyle and needs. Excellent Experience, Kind and Friendly Staff. Was in and out in less than an hour for both my daughter and myself. Amazing !!!! !